Received 23 October 2009; revised 13 November 2009; accepted 17 November 2009.
where N is the occupation number of the state. 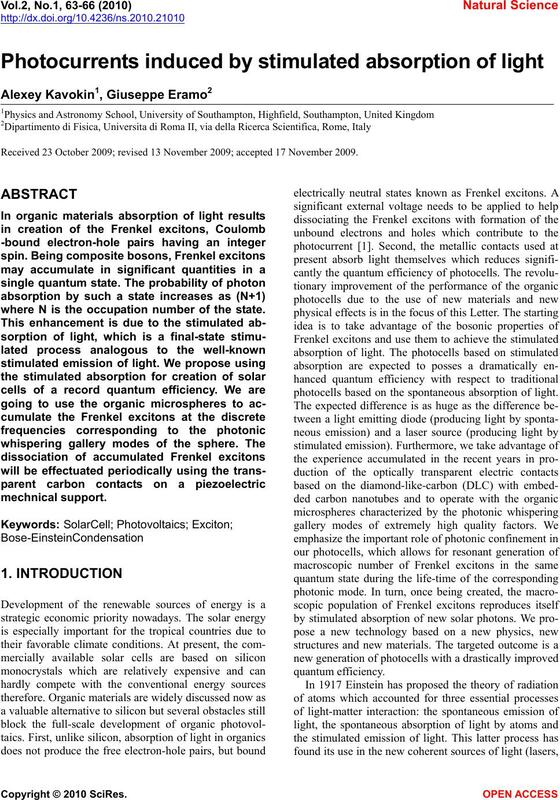 photocells based on the spontaneous absorption of light. confined near the surface of the microsphere (Figure 1). cies the absorption of light would be still spontaneous. to 100 microns connected to two platinum microcontacts. 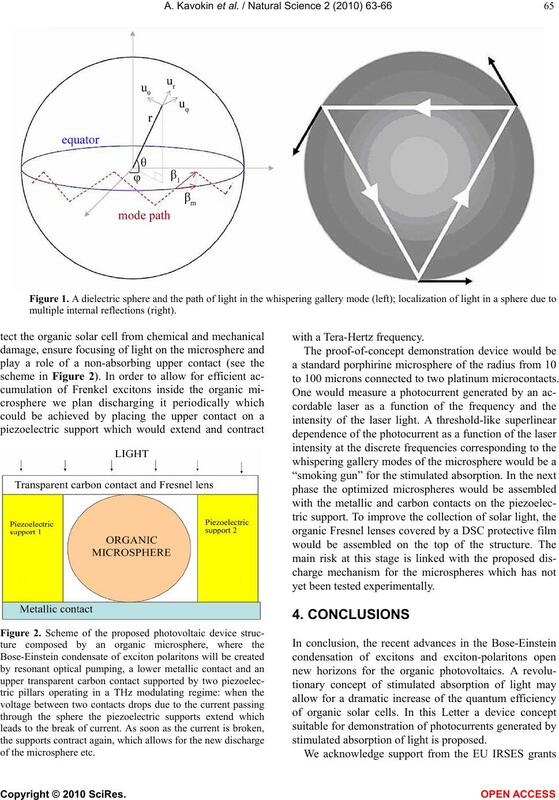 stimulated absorption of light is proposed. kali-halide crystals. Trans. Faraday Soc, 34, 500.
in solids. I, Phys. Rev. 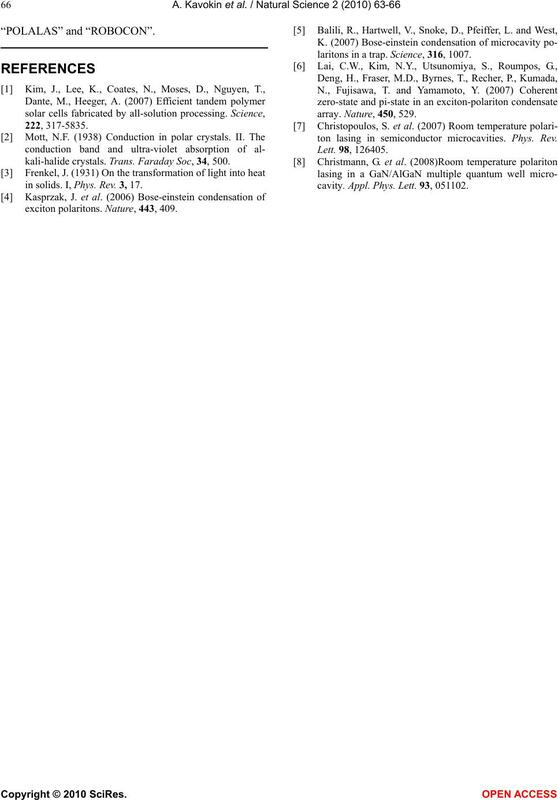 3, 17.
exciton polaritons. Nature, 443, 409.
laritons in a trap. 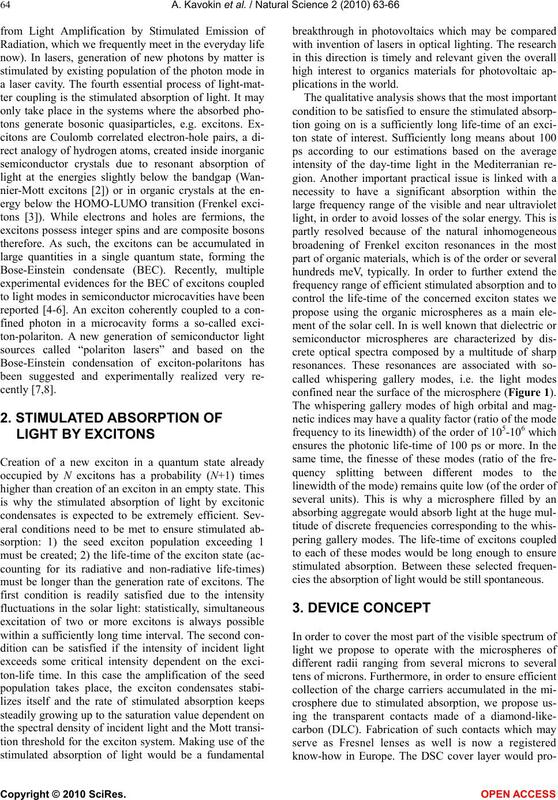 Science, 316, 1007.
ton lasing in semiconductor microcavities. Phys. Rev. cavity. Appl. Phys. Lett. 93, 051102.